A rainy morning delays our start and even though we had to get up at 4:40, we do get to relax in our room until the 12 noon departure. No point setting up a photo shoot with no sun. Time to relax, catch up on email and do homework. 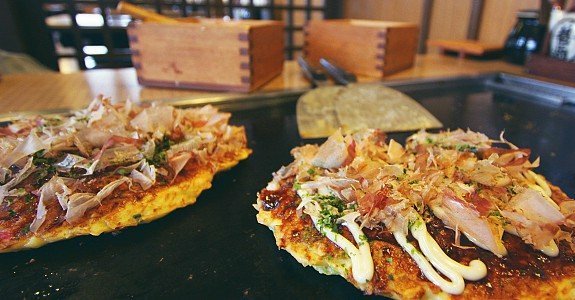 For lunch, we walk to a nearby okonomiyaki place where we watch the cooks make delicious omlette-type thick pancakes containing eggs, flour, seasonings, and various meats. 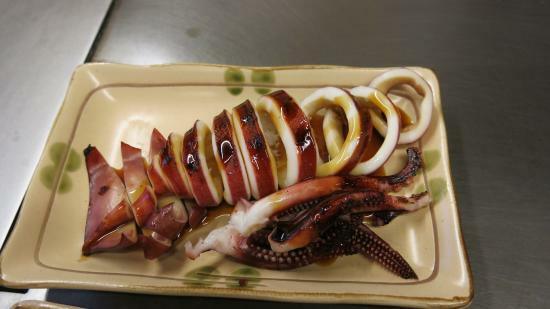 My favorite is the squid okomomiyaki with its firm and chewy chunks of white meat. The guys in the crew start to drink even though it is only noon. We find out later, that they all end up having to take naps in order to sleep off the effects of the alcohol. We meet in the lobby at 5:00 pm to go out to supper where we are treated to a huge feast at the same restaurant as the nights before. The restaurant owners create dish after dish of wonderful food and it is tempting to eat much too much. The beef, in particular, was so tender; some of the best I have ever tasted. Back in the hotel, after the usual mother-daughter arguments about use of the computer and time limits, we head to bed at around 9:00 pm with the windows propped open for the cool fresh rainy air. It has been a very relaxing day as the weather has made it impossible to shoot any photos. Tomorrow, we will have to make up for the day of rest. 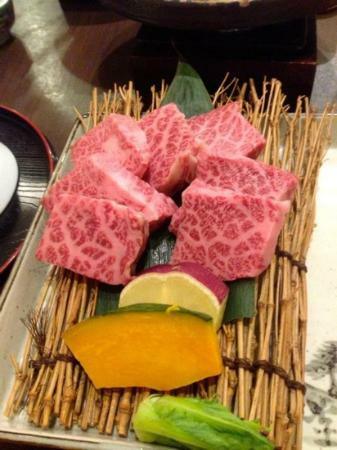 This entry was posted in photography, Uncategorized and tagged beef, Japan, JR, JR Wakayama, model, modeling, restaurant, travel, UNESCO, wakayama, wakayama beef, world heritage, world heritage sites, World Wide Wakayama, Worldwide Wakayama by ruth. Bookmark the permalink. Author, teacher, librarian and tree-climber, though not all at the same time.